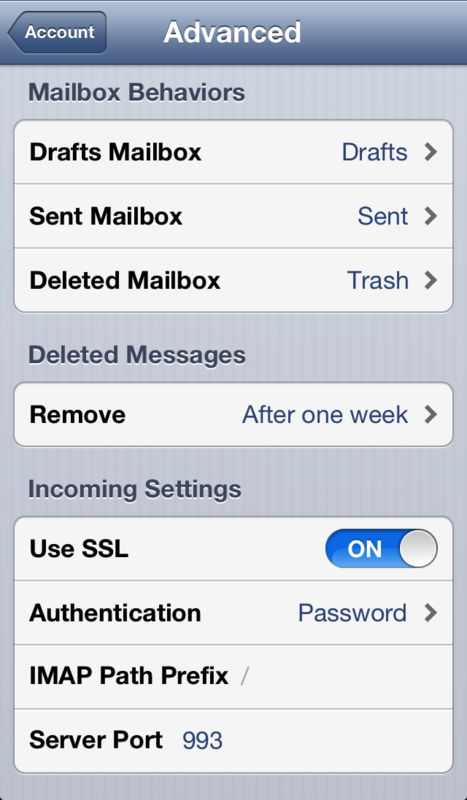 The following screen captures show the correct settings for Mail.app on an iPad, iPhone, or iPod touch. 2. If you are creating a new account, select Other -> Add Mail Account." If the account exists, the following screen will appear. 3. Select the account, and verify your settings are consistent with the ones shown in the example. The Host Name should be mail.theartfarm.com. 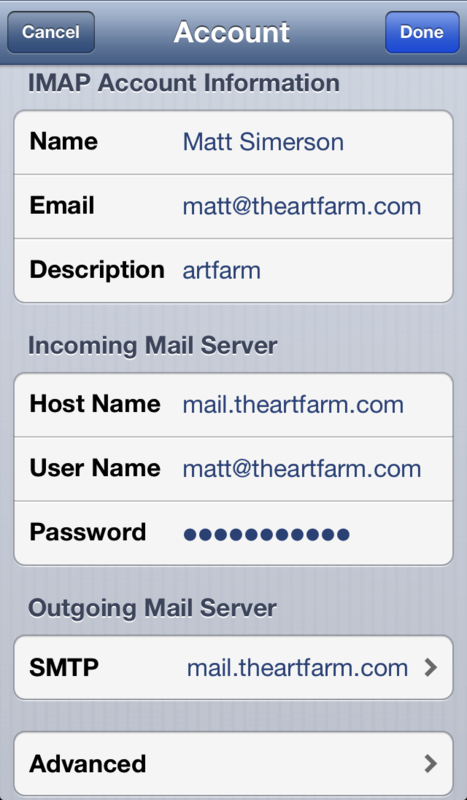 The User Name is your email address and the Password was provided to you by the Art Farm. 4. 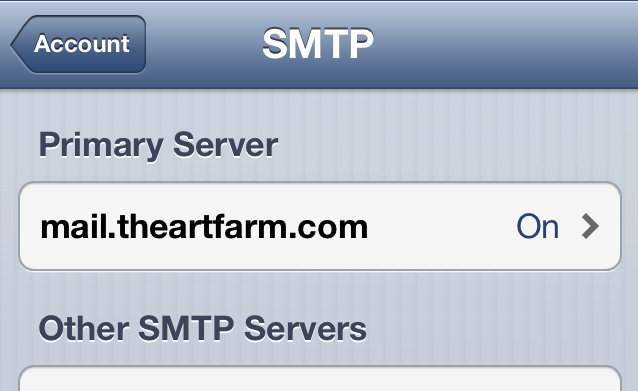 Verify the Outgoing Mail Server settings by tapping the SMTP line. You'll get the following screen. 6. Tap on the Done button to return to the Account tab. Tap on the Advanced button at the bottom of the screen. Make sure Use SSL: On is selected. That's all! 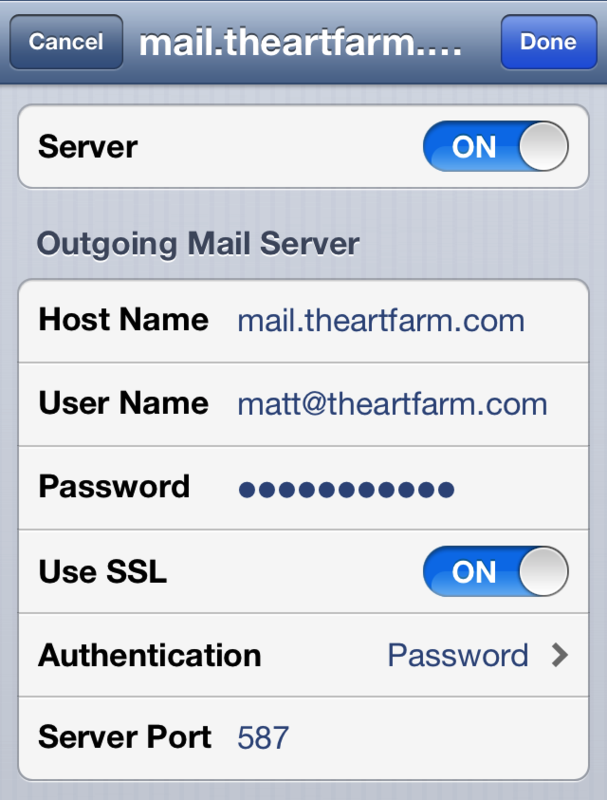 With those settings, sending and receiving mail via the Art Farm's mail server will work wonderfully.